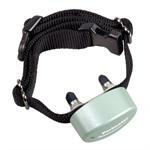 Battery Cap that fits the Perimeter Technologies brand wired Dog Fence Receivers. It even fits the Invisible Fence Compatible Perimeter Tech receivers. If you lost your cap or if it's worn out here's the replacement. Battery Cap that fits the Perimeter Technologies brand WiFi Dog Fence Receivers.